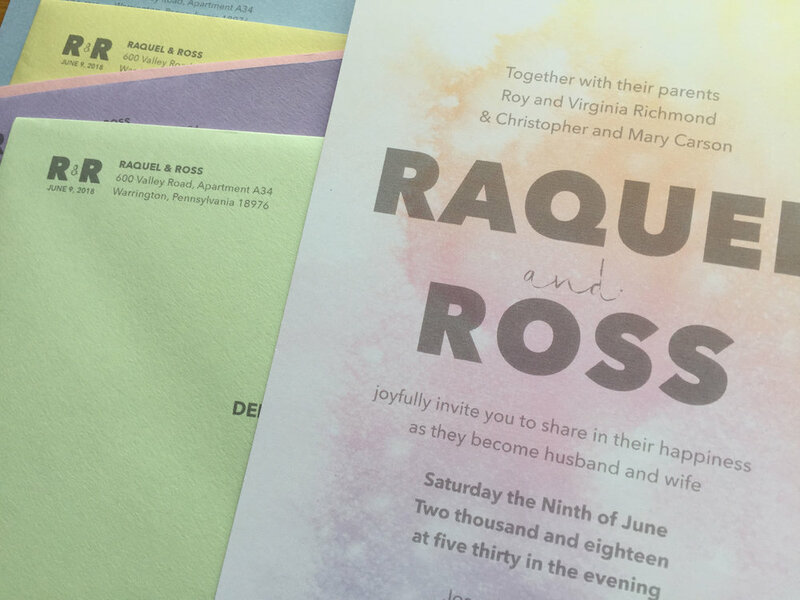 Raquel + Ross — Love Letters Paper Co.
Raquel and Ross wanted a playful and sophisticated invitation suite. 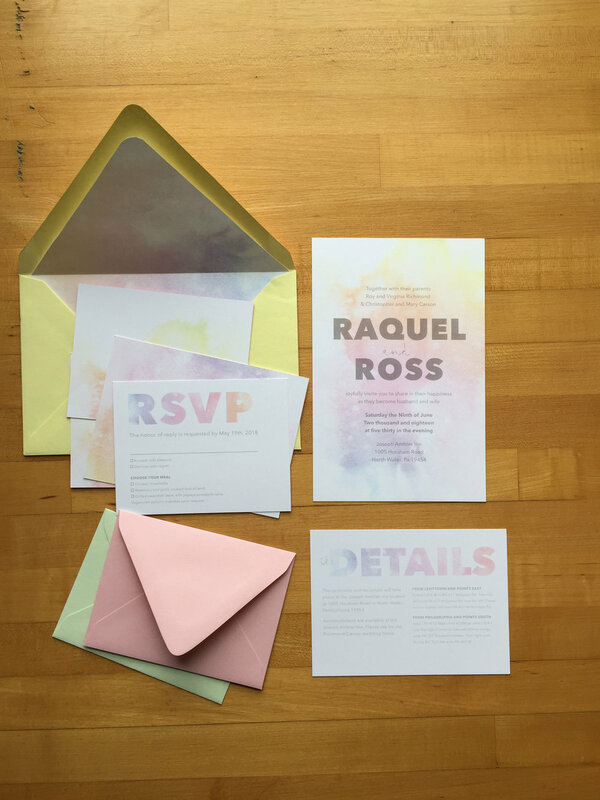 Raquel’s bridesmaids each wore a different pastel color, so we incorporated all of the hues into the details. 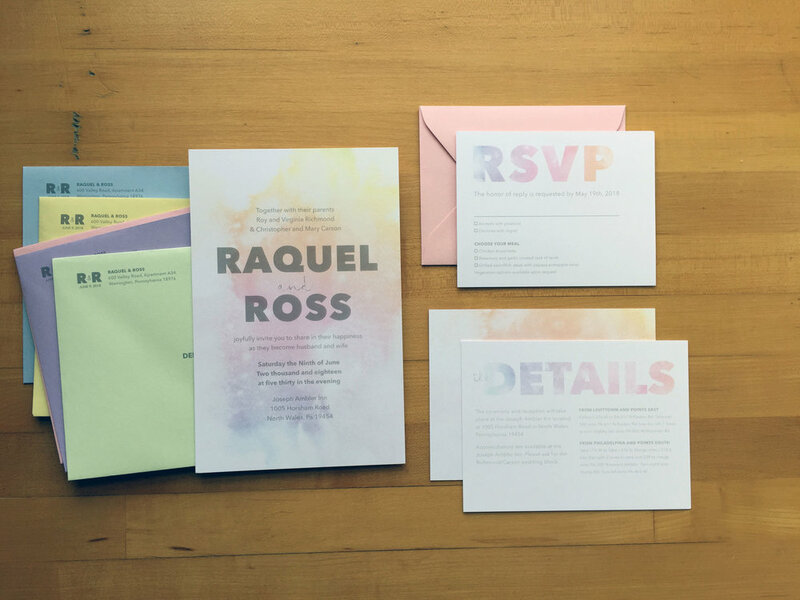 Raquel wanted the rainbow with a modern, grown-up sensibility. 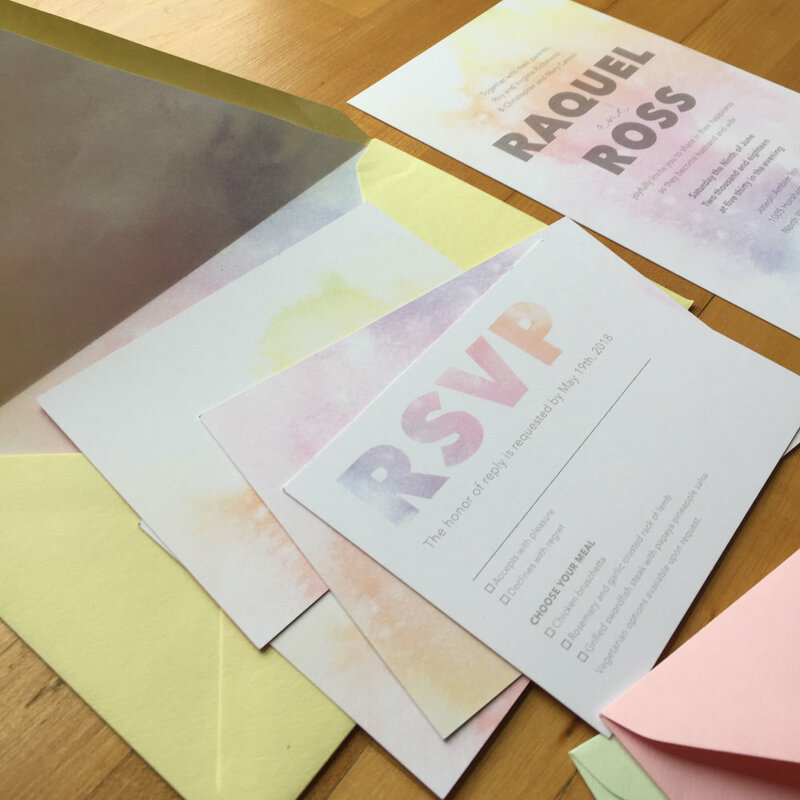 The couple wanted everything to be very simple and beautiful. Raquel met Ross in elementary school; they grew up together and fell in love after moving away from each other in college.